A timepiece can be a genuine blend of innovation, legacy, craftsmanship and art. 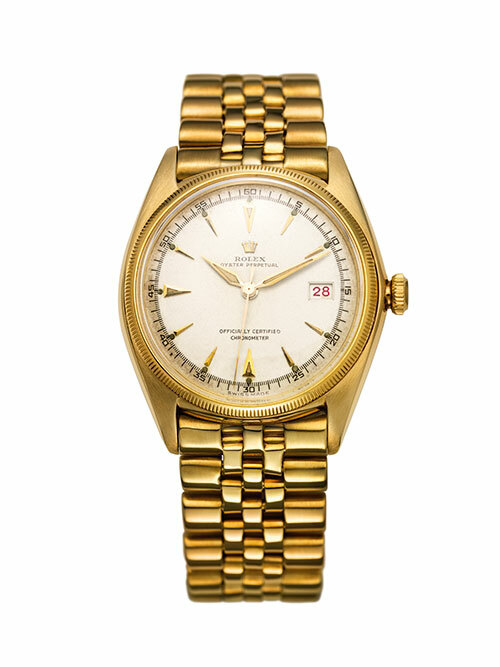 Watches have been treasured over the years as luxury items of various shapes, forms and of varied materials, decorated in techniques which reflect the tradition of the country where they were made and the individual taste or affluence of their owner. With increasing interest being shown in the world of horology, it isn’t too astounding that, in a span of merely a few decades, the market for vintage watches has jumped from flea market dealings to million-dollar auctions and the development of watch investment funds. At a time when the past is more than ever the inspiration for fashion, there is something especially delightful — like returning to your roots — about rediscovering unique pieces that have successfully interpreted the spirit of their age. More now than ever, watchmakers and enthusiasts are truly paying respect to the original craftsmen, and vintage is the way to go. In other words, seek the future in the past. 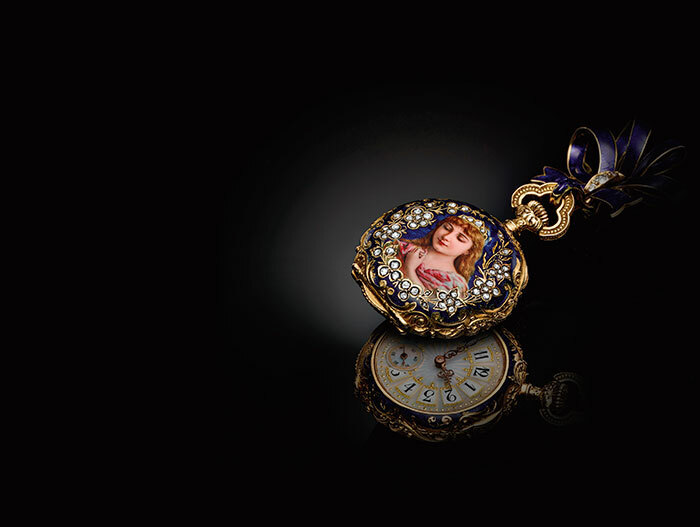 Marie Antoinette was compelled by a fervent yearning for Breguet watches and so, in 1783, one of her many admirers ordered the most magnificent watch conceivable from the workshops in the Quai de l’Horloge, as a gift to the queen. The order specified that gold should be used as much as possible and that the complications should be both multiple and varied. The queen never had the chance to admire the creation, but 34 years after her passing, the Breguet N°1160, known as the Marie-Antoinette, became a watchmaking legend. 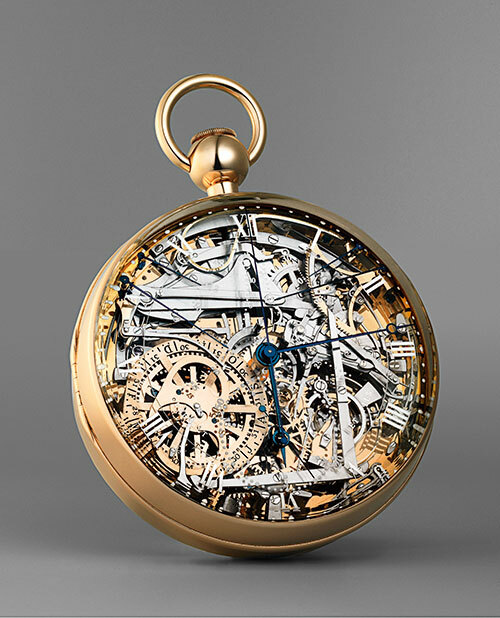 The self-winding pocket watch, with its perpetual calendar, power reserve indicator and bimetallic thermometer, is still considered as the fifth most complicated piece in the world. Dating back to circa 1900, this Enamelled Lépine-type Pendant Watch – Calibre LeCoultre 9HPV from Jaeger-LeCoultre is adorned with a modelled engraving, while the feminine miniature enamel portrait flaunts finely set rose-cut diamonds. The chased gold dial is also embellished with opalescent enamel, swept over by Louis XVI style hands. 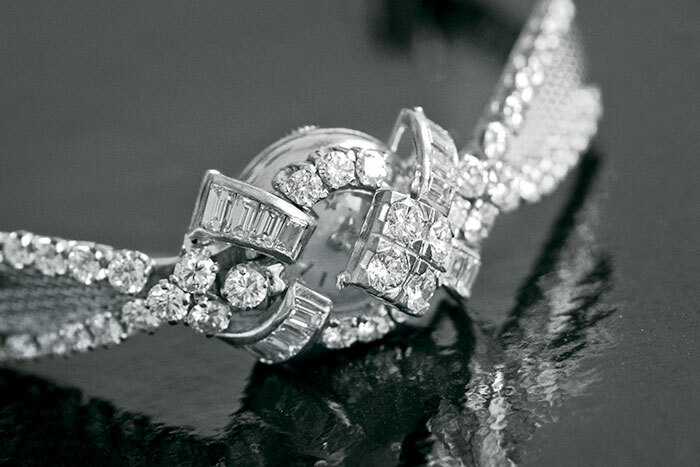 The watch features a ribbon-shaped mobile brooch and the chapter ring is composed of white enamel cartouches. Ever since its launch in 1926, the Rolex Oyster has been among the most discernible timepieces in the world, and the year 1945 saw the birth of the pillar of this Oyster collection — the Oyster Perpetual Datejust. The first self-winding wrist chronometer to indicate the date in a window on the dial, the watch was equipped with a Jubilee bracelet created exclusively for it. 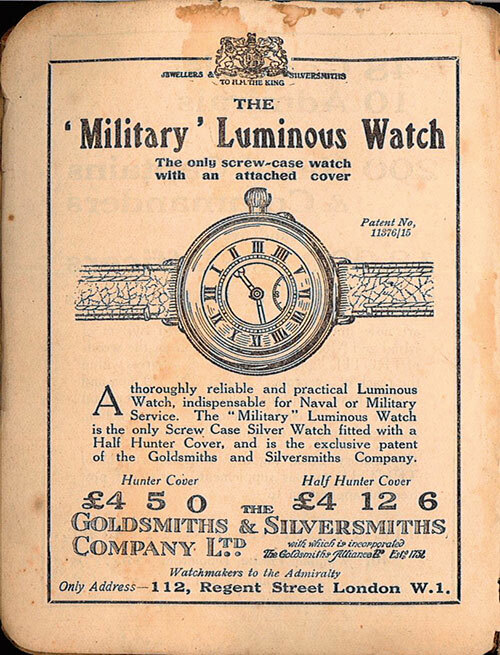 With its fluted bezel, it was immediately recognisable as an Oyster and it featured a Cyclops lens which magnified the date digits two-and-a-half times. Originally created for men, it became available in various models for women during the course of the following decade. 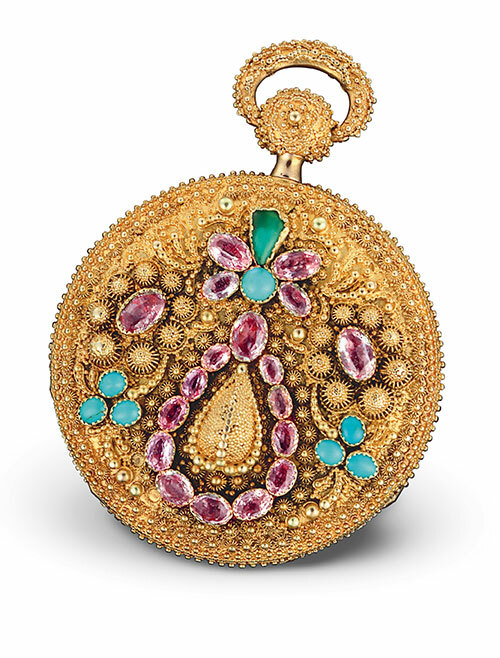 With this 1824 Ottoman pocket watch, Vacheron Constantin introduces aficionados to the splendour of Ottoman décor. The opulent masterpiece features a case richly adorned with an exuberantly-chased floral motif, enhanced with appliques engraved using the pounced ornament technique. 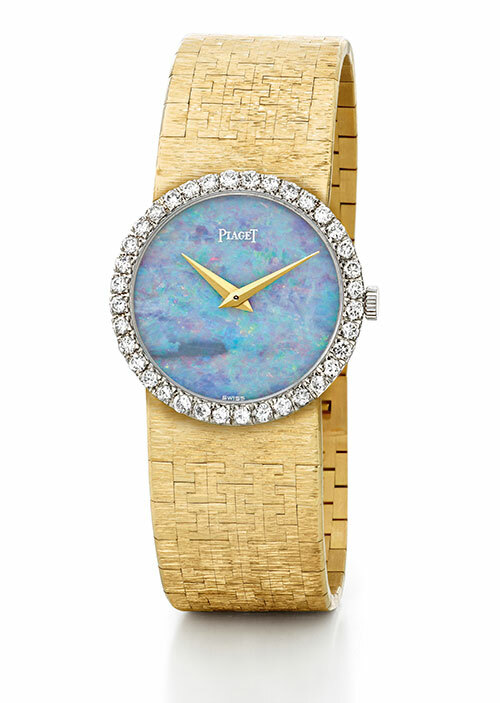 Embellished with turquoise and amethyst, the watch has a pink gold dial and composes a dense yet subtle ornamentation. This 1967 Jewellery Wristwatch in Yellow Gold Set With 36 Diamonds from Piaget houses an ultra-thin movement, with an articulated bracelet in a guilloche bark finish. It has a yellow-gold case and bracelet, plus a white gold bezel set with brilliant-cut diamonds, of approximately 0.7 carats. The watch, celebrated for its stunning cracked opal dial, was owned by the illustrious Elizabeth Taylor and acquired by Piaget in 2011, when Christie’s New York auctioned her collection. Created in 1955, this rare ladies’ jewellery Secret Watch is so named because it has a diamond-bedecked cover that hides the dial. It is set with 50 brilliant-cut diamonds and 16 baguette-cut diamonds — with an impressive total weight of 6.5 carats — paving the cover, the bezel and the attachments of the Milanese bracelet. Crafted from 18k white gold and powered by a calibre 440, the uncommon timepiece features an ivory dial and polished gold baton hands. To pay homage to George Graham, father of the chronograph and creator of simplified escapements, Graham fashioned the Chronofighter 1695. 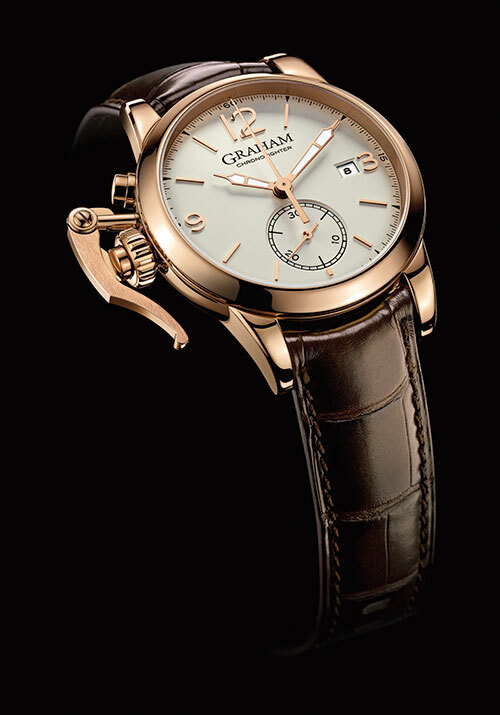 The automatic 42mm watch sees the minutes counter placed at 6 o’clock and the date at 3 o’clock, a distinctive Graham disposition. On the back is a hand-engraved representation of the Greenwich Royal Observatory, for which George Graham was the official watchmaker. The finely-worked dial features Roman numerals to recall George’s original pocket watch. Dresden watchmaker, Ferdinand A. Lange, laid the foundation for the Saxon fine watchmaking business when he established his manufactory in 1845, but, after the Second World War, the enterprise was expropriated. In 1990, his great-grandson, Walter Lange, took the risk of starting up the business anew and the brand presented its first collection of iconic timepieces in 1994. 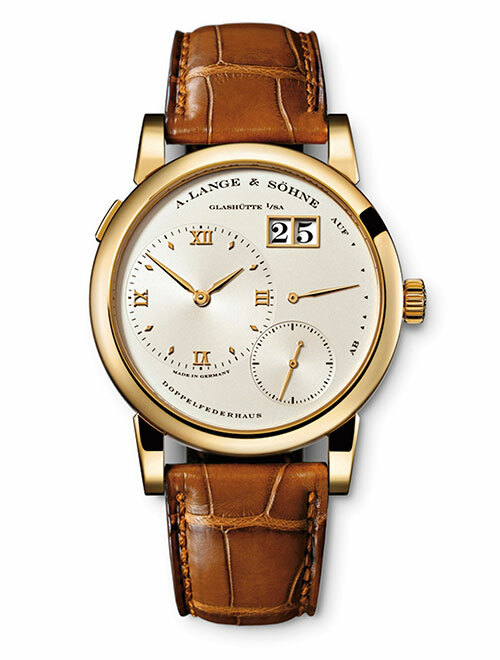 The Lange 1 timepiece, from this collection, is the epitome of A. Lange & Soehne finesse. The watch’s most prominent feature — the outsized date — was inspired by the famous five-minute clock in the Dresden Semper Opera. 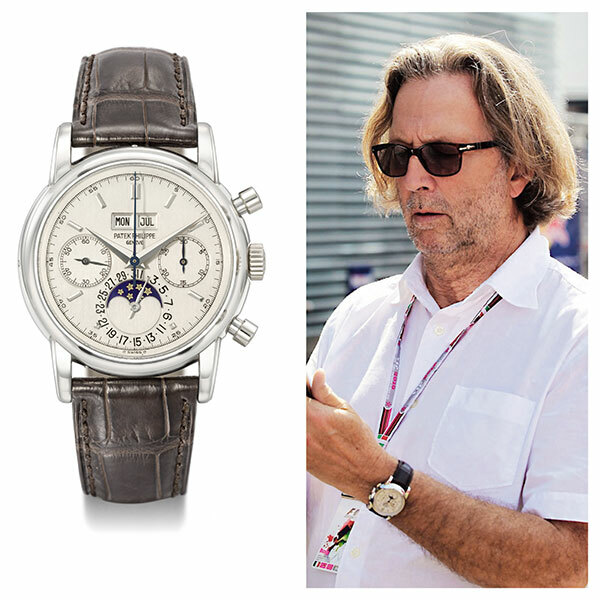 Guitar legend Eric Clapton is such an avid collector of watches that he named one of his albums Timepieces and talked about Patek Philippe in his autobiography. His Patek Chronograph Perpetual Calendar (Ref 2499 in platinum) was famous for being the only one held in a private collection. 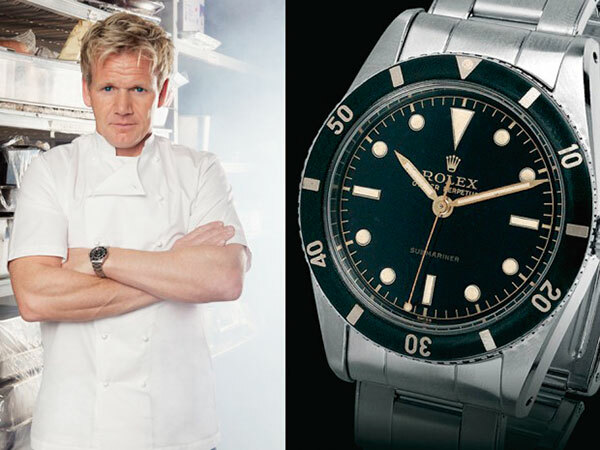 Celebrated chef Gordon Ramsay is a loyal fan of Rolex and is often seen sporting the brand’s best watches. The television personality caused quite a buzz with the purchase of this rare vintage Rolex Submariner model, which was first designed for diving in the 1950s. Whether suspended from a sautoir necklace, attached to the belt by a châtelaine chain or disguised within a brooch, watches have existed in manifold facets. First introduced in the 16th century, they were quite big and boxy, and worn around the neck. It was not for another century that it became conventional to wear your watch in a pocket, with Charles II of England popularising it across Europe and North America. Glass protection was introduced by then, and pocket watches received great attention as items of luxury. 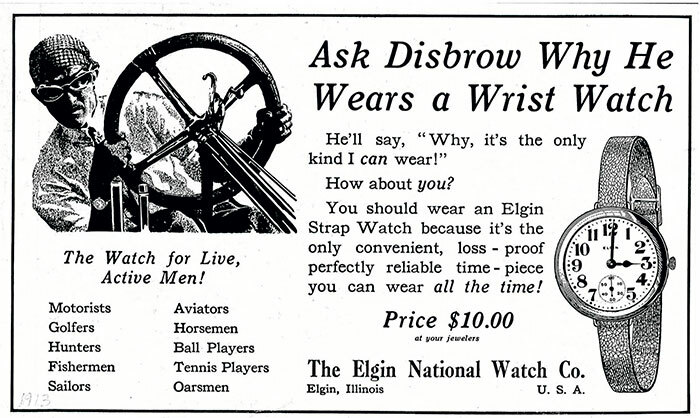 This, however, changed around the period during World War I — when officers in the field began to realise that a watch worn on the wrist was more convenient and, soon, the wristwatch became both a strategic military tool and a popular fashion accessory. How Grand Are These Complications?